Having a sizable get relevant followers on Twitter can help you build influence in your industry, signal relevance to your audience, and create opportunities to network with potential clients and partners. However, the number of followers isn’t just “the more the merrier” since you’ll have to spend time and efforts on nurturing the relationships and engaging with your followers. In order to grow your business strategically with Twitter, you need to attract real and relevant followers (e.g., customers, partners, advocates) so you can get the highest ROI from your social media marketing efforts – this how you’ll get relevant followers on Twitter. Knowing who you want to connect with can help you find your audience by searching for the right hashtags, connecting with relevant influencers, attracting followers from other platforms, and posting the most impactful content. For example, what are your ideal followers interested in? Where are they located? Where do they go to get information? Which industry thought leaders and influencers do they follow? What hashtags do they use? Most websites allow contributors to include an author bio in their articles. You can ask the readers to follow you on Twitter for regular updates and insights. Also, add your Twitter handle to all your online profiles and include a call-to-action to follow you on the platform. When you interact with influencers, you’ll not only get on their radar (which can lead to mentions, being added to their lists, or even a guest posting opportunity) but also gain exposure to their followers. and the influencers didn’t have to be in the most twitter followers list – it can be influencers in your niche. You can engage influencers by replying to their posts, retweeting their content, and tagging them on relevant tweets. To help focus your efforts, use a monitoring tool to identify valuable people in your Twitter community so you can engage with them regularly. When you provide value and engage with your followers, they’re more likely to share your content with their connections and increase your exposure to a larger audience. You can use a Twitter community management tool to help you connect with valuable members in your community and build relationships with them. A Twitter feed can be quite noisy. It can be challenging to get your tweets noticed by your followers so they’ll read your posts, engage with them, or share them with their followers. You can use visual content to help attract more attention. Tweets with images receive 150% more retweets than those without images. You can also experiment with other formats such as infographics (shared 3x more often,) GIFs, videos (six times more likely to get shared) and memes to capture the attention of your followers so they’d read and share your tweets. Tweets with hashtags get twice the engagement than those without. Adding the appropriate hashtags to your posts can help them get discovered by people who are interested in your topic of expertise and therefore more likely to turn into high-quality followers. Tweets with two hashtags are found to get the highest engagement. However, too many hashtags can cause engagement to drop. Your profile photo should look professional and approachable while your handle should reflect your company name or expertise. Include a couple of relevant hashtags to increase searchability and use a unique header image to help you stand out. Since your Twitter bio is recognized by Google as a meta description, including the right keywords can help you get found by the right audience that’s more likely to follow you. Start by establishing the right KPIs to track, e.g., clicks, retweets, or replies can indicate the level of engagement while measuring the number of engaged followers in your key demographic helps ensure you’re getting a high-quality following. 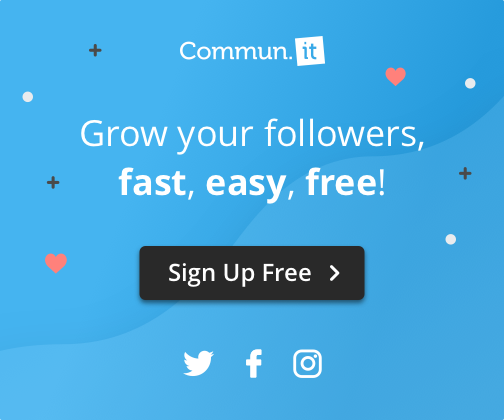 Using a community management tool, such as Commun.it, can help make sure you’re engaging with the right audience that’s helping you attract more relevant followers. Have you been measuring how effectively you’re engaging with your followers? Get Relevant Followers On Twitter!